Our 2017 events series begins tonight at 8:00 PM at the Swedish American Hall, where we will be co-presenting WHEN I LAY MY BURDEN DOWN with the Noise Pop Film Series. Join us for an evening of music films shot over six decades by the famed collector and researcher of folk music Alan Lomax. And speaking of music, we will once again be opening our doors for 2017's premiere Cinema Soiree next month. On March 16th, author and musicologist Richie Unterberger will join us in person at Oddball for Pop Music Explosion: Film Footage Fantasia. Expect more information from us about this program next month. As always, if you’re a filmmaker and use stock footage in your projects, search our site or contact us directly. You can also take a look at us on IMDB to see how we provided important footage to producers like Martin Scorsese and TV programming like The Americans, and how Oddball Films is continuing to work in 2017 as an exceptional resource for filmmakers everywhere. 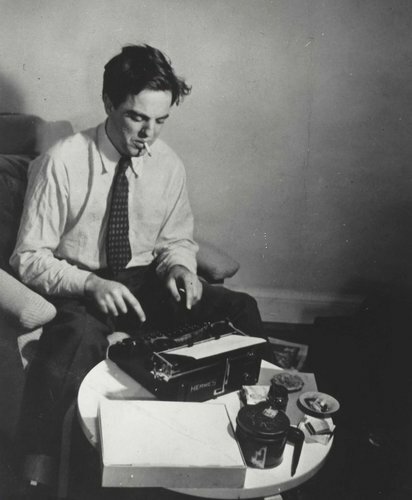 Together with the Noise Pop Film Series, Oddball Films and the San Francisco Media Archive are thrilled to present WHEN I LAY MY BURDEN DOWN, an evening of films by legendary ethnomusicologist Alan Lomax. One of America's most significant and indomitable archivists, Lomax exhaustively documented traditional musical performances for seven decades, and the vast collection he left behind has defined our understanding of folk traditions across America and the world. Lomax shot the films in this program between 1937 and 1983, in locales ranging from Haiti to Kentucky, the Mississippi Delta to the Newport Folk Festival. 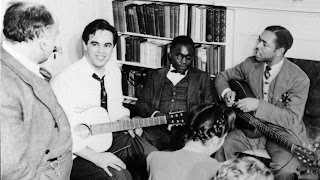 Nathan Salzburg, curator of the Alan Lomax Archive, will be on hand to give a presentation and Q&A session after the screening. Stay tuned for more details about our premiere Cinema Soiree for 2017-- Pop Music Explosion: Film Footage Fantasia on March 16, 2017, with Richie Unterberger, author and musicologist in person!